The Russian national football, team governed by the Russian Football Union, represents the country in international football competitions. The team is a direct heir of the CIS (Commonwealth of Independent States) and Soviet Union National Football team. After the collapse of the Soviet Union, the team played its first international match with Mexico in the year 1992. Russia, or the Soviet football team, started participating in World Cups from 1930 but unfortunately did not qualify until 1958. 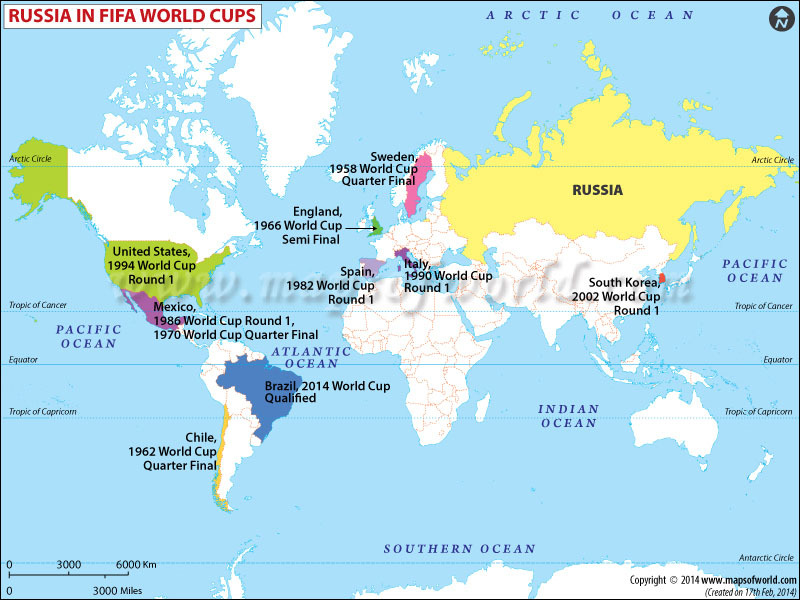 The first FIFA world cup it played as an independent Russian team was in 1994 when it did not qualify in the next world cup i.e. 1998, and again in the 2006 and 2010 world cups it was unable to qualify for the mega event. In the European championship, the Soviet team started participating in the year 1960 and played until 1988. The European championship 1992 was played as a CIS team and from 1996 it participated as an independent Russian team which continues till today. As far as the participation in Olympics is concerned, the Soviet Union started participating officially from 1952 and after the year 1992 it was succeeded by the Russian national football team. On the whole it participated in 6 Olympics. From 1992 the Russian national football team has never qualified up until the last 2012 London Olympics. The competitive record of the national football team is not very impressive as its football history has been through many hiccups. As a Soviet Union team in the FIFA World Cup, it entered the quarter-finals thrice and finished at fourth place once. As a Russian team its record seems to be uninspiring. In the European Championships, the Soviet team holds a pretty good record emerging winners in 1960, runners-up thrice in 1964, 1972 and 1988 and finishing fourth in the year 1968. As a Russian team its success is only limited to a semi-finals berth in Euro 2008. In the Olympics, the Soviet team emerged as champions twice in the year 1956 and 1988. The Russian National Football team has also qualified for the upcoming 2014 FIFA World Cup in Brazil.